so. some friends got married. we were there. it was lovely. we couldn’t decide what to get them. then they bought a house. and our brains started thinking that maybe a knit gift would be best. 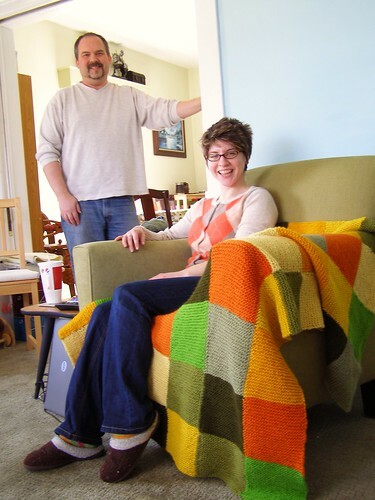 you see, they come to town every few months and hang out to do fiber arts with us. this was a gift that took some percolating. 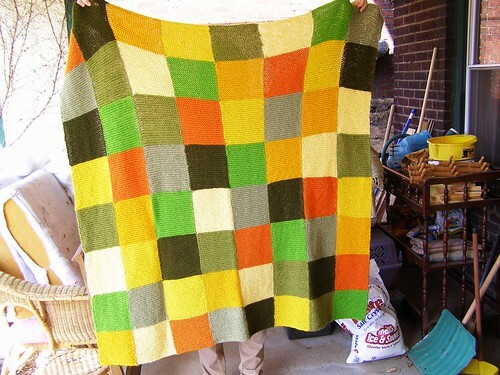 so we took her favorite colors (he’s colorblind), and her favorite yarn (lamb’s pride), and the three of us made this. 3 strips, 3 strips, 2 strips and the sewing up. 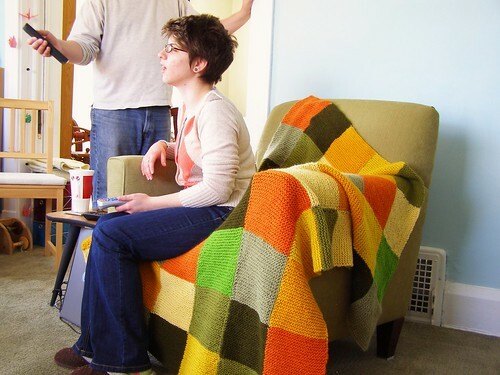 apparently it was a good choice, not only did the not have a permanent blanket to curl under in their living room yet, but the house was indeed variations on her favorite colors. and we finally got it to them yesterday. better late than never, eh? and we had a fun time knitting, spinning, and eating to boot. happy wedding and housewarming! 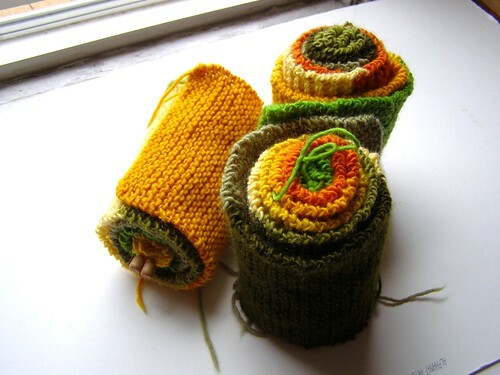 This entry was posted in blanket, community, cosyknitsliterally, knitting by cosymakes. Bookmark the permalink. That is the most thoughtful gift ever! Way to go!